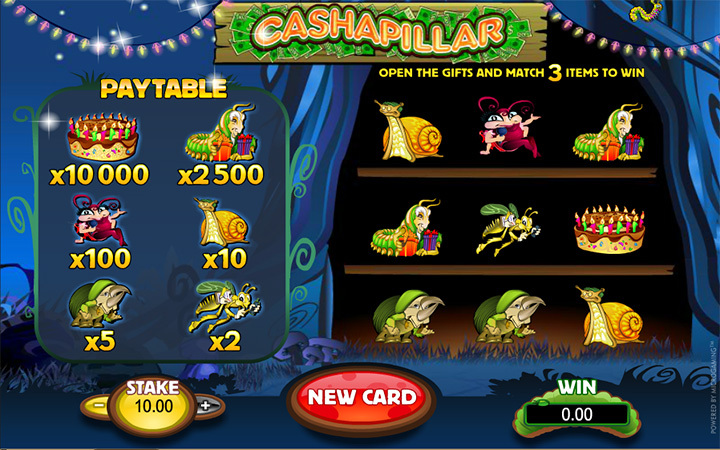 If you are looking for a simple yet entertaining scratch card game with good payouts, Cashapillar may be that one. It is developed by Microgaming, which is one of the biggest and oldest names in the industry. They are already experts at slot games, but it seems scratch card games are their specialty too. Graphics are quite simple in the game, but this is somehow expected – scratch card games are not known for their fancy animations after all. The theme is about caterpillars as you can guess by the name and with only six symbols, this is a pretty straight-forward game to play. If you have never played a scratch-card game before, they are like instant-win lotteries. You really scratch a card (at least digitally) with six hidden symbols. If you find three of the same symbols on a card, you win a prize. In Cashapillar’s case, the prize is a multiplier amount. In other words, how much you win is based on how much you bet. You can bet between 1.00 and 10.00 coins per card, and we advise you to always play with 10.00. As you can see from the paytable, the highest prize is x10.000 multiplier. If you play with 10.00, you get to win 100.000 coins. But if you prefer 1.00, the maximum prize will only be 10.000 coins. To play the game, set your bet first and press the “new card” button. You will get a new card to scratch and you can do that by moving your mouse. 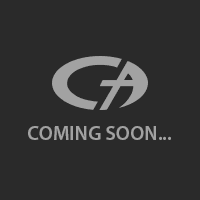 Or, you can click “reveal all” and see all of the symbols at once. As we explained above, if you manage to get three of the same symbols, you get a prize according to the paytable and your bet amount. Just click “new card” again to start a new game and try your luck once more. Cashapillar is a real classic scratch-card game with nothing new to offer, but it is fun, easy-to-play and has a fast pace. Highly recommended if you like lotteries.